Posted on September 30, 2011, in Community and tagged art, lol. Bookmark the permalink. 9 Comments. The poster is very cool and now even cooler, as I can stop feeling a little bad about the verb form The use of infinites as nouns is still a bit of a mystery to me. When are they appropriate? How does the meaning differ from /ath- (z)ar/ nominalization? … “Southern” would be hesk and “northern” valsh? Do adjectives generally coincide with accusatives of respective nouns? The infinitive is just a non-finite form of the verb. Sometimes it’s treated syntactically as a noun, but it’s still a verb, semantically. The ath- -ar form is different from the infinitive—sometimes only minimally, sometimes largely. For a simple one, athlanar is “running” (the act of running, for example), while lanat is just an uninflected form of the verb “to run”. Do adjectives generally coincide with accusatives of respective nouns? Generally? No. In the case of directionals, yes—and in the case of some other words, yes. But, no, it’s not a general pattern. Pardon the question. I was thinking about inanimate nouns that have more or less bare stems as accusatives. I should have asked “do bare stems from nouns act as respective adjectives”, though I trust the answer is still a no. … Stems and final vowels might make a good topic for an educational post. Every now and then I find myself wondering, how they exaclty work. Most recently I tried to figure out statives from adjectives: why hasa – hasat, but zheana – zheanalat.. The short answer is it’s lexical. The long answer is it’s hasa because there was an error in transmission somewhere…? “Sharp” is has, not hasa. 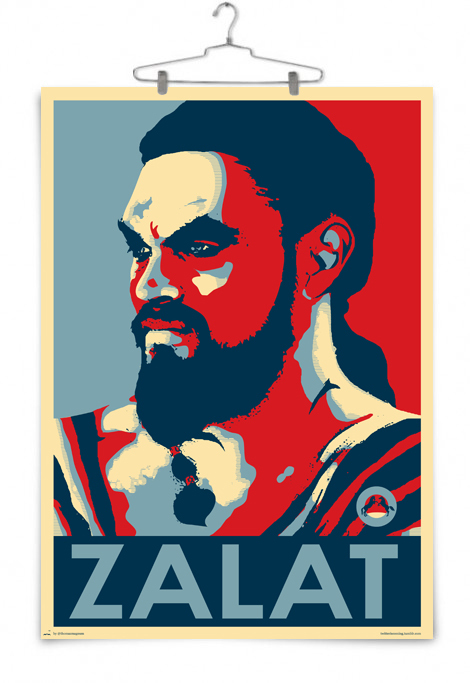 If this came from the Dothraki 101 post, the adjective there is being used as a verb. If the form ended in an -a, it’d have to be Arakh hasae. So it’s has~hasat not hasa~hasat. OK. I first thought it was an error, but then found so many dubious cases that I began to think we’d missed something. Samva~(samvat)~assamvat is then also an error? And haqe~haqat is irregularity due to epenthesis..? How about gende~gendat? If that is due to epenthesis, then our rules on that too are incomplete. Samva for “broken” is correct, just irregular (probably ordinarily be samve). Both haqe and gende are due to epenthesis. Remember that e is the default epenthetic vowel; a word can always use a different one. This thread brings up a good question: What is ‘lexical form’ for Dothraki? If you look in the Wiki, many words have a second word associated with them that is supposed to be the uninflected stem. For instance, for a verb awazat ‘to scream’, there is a second, past tense entry of the stem awaz. For a noun example, azhio ‘gift’ has azh as the accusative stem. Other lexicons I have worked with (Greek, Na’vi) have the uninflected nominative or present tense words listed. So, is lexical form always nominative/present tense regardless of inflection, or is it always the stem word regardless of case/tense? How about other parts of speech? Seems like a good (and relatively simple) topic to write up. Let me see about it. Though i took the liberty to change the word zalat to athzalar, to see how it went, and I prefere it with the noun.